Sometimes you don't notice the little things, small, subtle changes that can pass you by without you even realizing it. Here is one of those things. Before Capital One Bank bought Chevy Chase bank, the name above the door said "Chevy Chase Bank", For a long time after, even when Capital One changed the name of the branches, the sign remained. 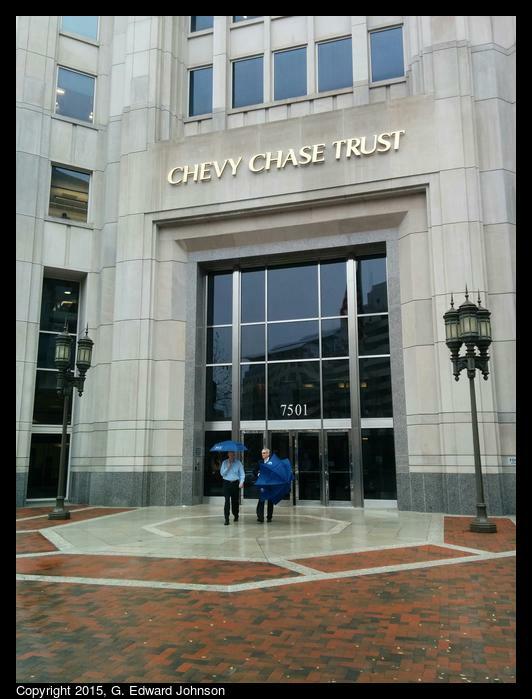 At some point, without me noticing, they changed the sign above the door to read "Chevy Chase Trust" Anyone know when this happened? I dug through my old pictures and came across this one from 2008 which has the old name on it. 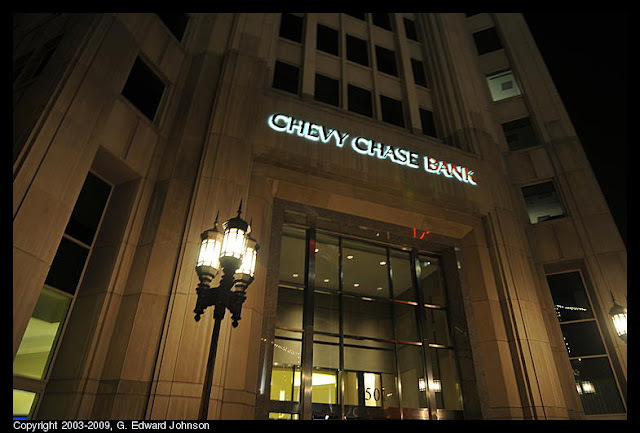 I went through some more of my pictures and I know it happened between March 2010 and September 2012, so it took me a few years to notice.